Experts say some drivers are putting others in danger by driving cars that shouldn't be on the road. As you drive around, do you ever wonder how safe the other cars on the road are? Connecticut is one of a majority of states that do not require automobiles to undergo periodic safety inspections. Some say that means cars are slipping through the cracks causing a danger to others on the roads. Car safety inspections are required in Massachusetts, New York, Pennsylvania and 14 other states. Tim Lyons, of Tim's Automotive in Simsbury, says they should be required here too because problem cars are all too common on Connecticut roads. "Look at that car that's coming the other way because unfortunately it could have a mechanical failure that could cause accident or injury and it certainly has," said Lyons. With 30 years experience as a mechanic, Lyons says he sees cars with bad brakes, troubled tires, and other serious problems on a daily basis. He says owners often choose not to fix such problems but would be required to fix them with state-mandated inspections. His opinion: required emissions tests are just not enough. "These cars will pass an emissions test but they will drive right back out of that emissions test station with bald tires or bad brakes," said Lyons. 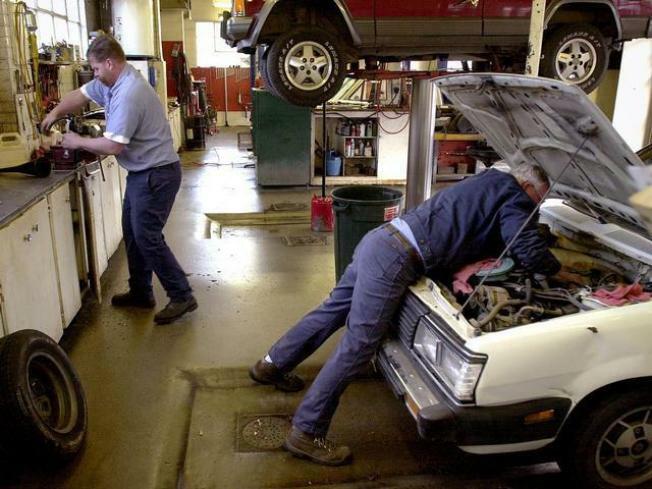 Just how much mandatory car inspections would help prevent crashes is up for debate. Safety advocates, including the American Association of Motor Vehicle Administrators, say they do save lives. Others disagree. It's been two decades since the federal government has studied the issue. Few state studies exist. One of them, from Missouri, found states with mandatory safety inspections have slightly higher fatal crash rates than states that do not have inspections. A Pennsylvania study found its program prevents between 115 and 169 fatal crashes a year, saving at least 127 lives. In Connecticut, statistics from 2006 to 2008 on file with the state Department of Transportation show mechanical failure or unsafe tires contributed to just about one-percent of crashes. However, The Center for Auto Safety in Washington D.C. says safety defects are under reported nationwide because police don't always look for them. The agency believes they actually play a role in six to 33 percent of crashes. The issue has come up for debate in the state legislature. "There really is no need for a law like this to be passed," said Tony Guerrera, (D-Rocky Hill), the co-chair of the transportation committee. "All the statistics that have come across our desks show that accidents that do occur with motor vehicles are usually due to driver error, not because of a mechanical problem." State police say drivers have a responsibility to properly maintain their brakes, tires, lights, windshield wipers, and their entire car. "All these things, when any part of them are not functioning in total, add to the potential of devastation on our roads and highways," said Lt. Paul Vance. "You're endangering not only yourself and your passengers, but other people."